Grades Pre-K and up. These high quality transparent stamps actually let you see where you're stamping for unparalleled results! Each transparent stamp set comes with easy-to-grip handles that are perfectly sized for little hands. 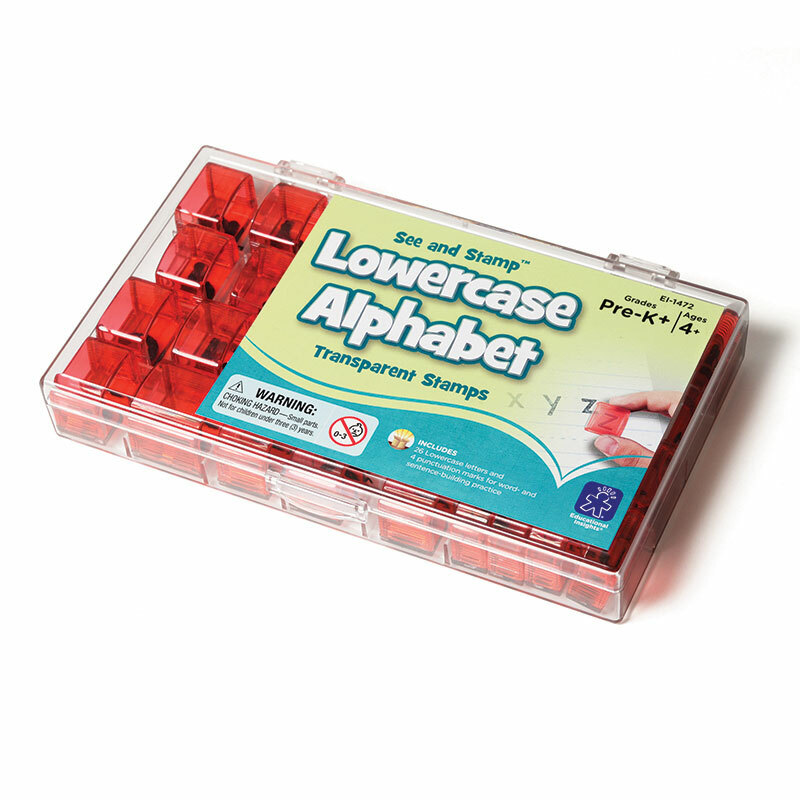 Children can stamp alphabet and number sequences, words, sentences and math equations. Each set comes in a durable plastic case for storage.